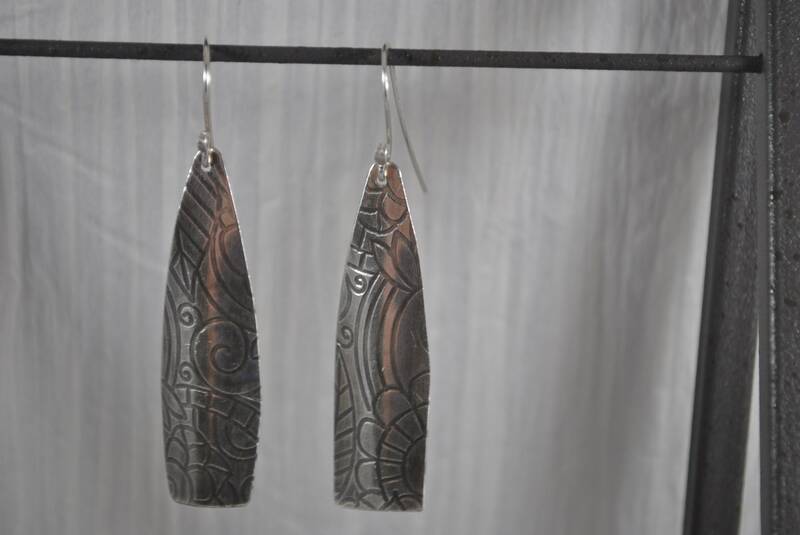 Artisan sterling silver earrings are handcrafted by texturing with a rolling mill, then cut to shape, and oxidized and tumbled for high polish. 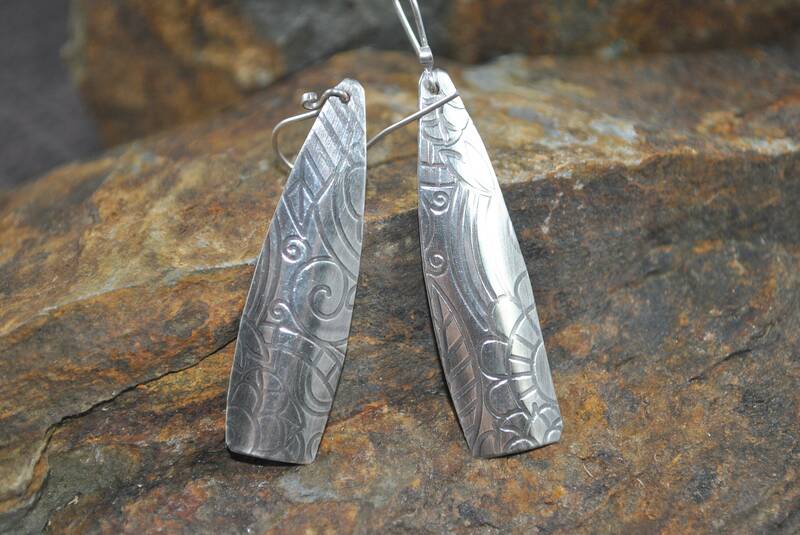 These beautiful floral patterned earrings have a slight curve. 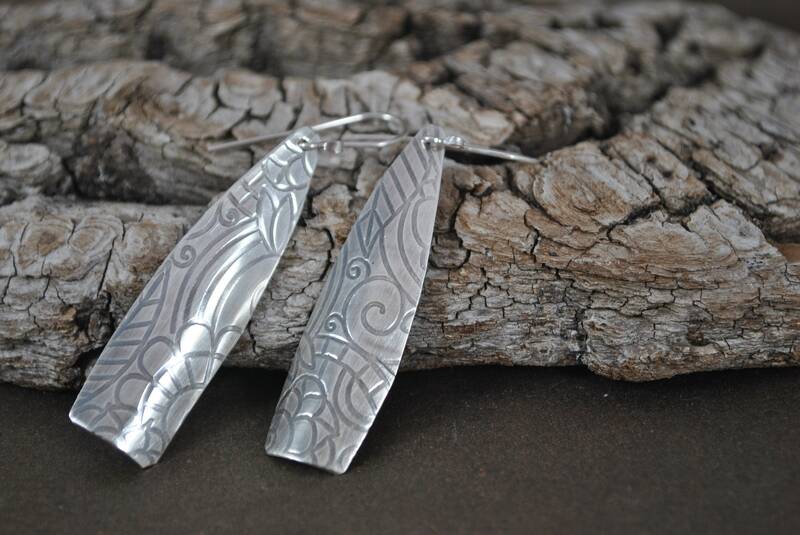 These will hang long and you will love the dangle! 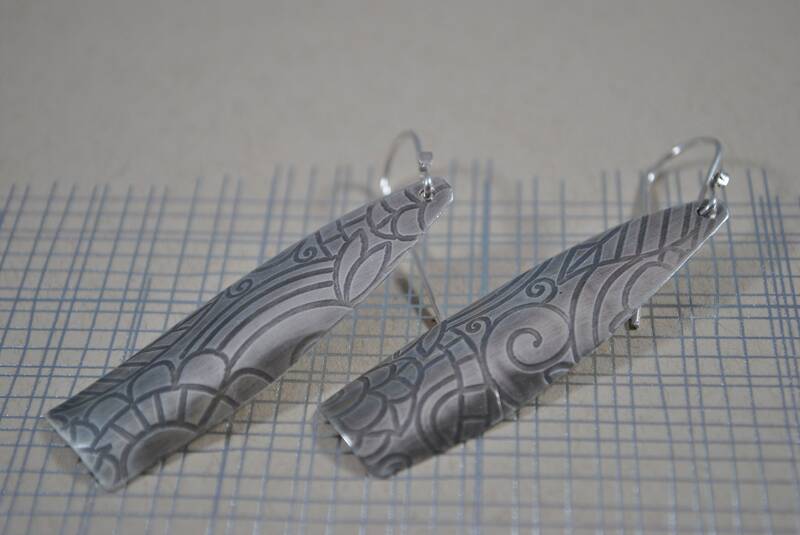 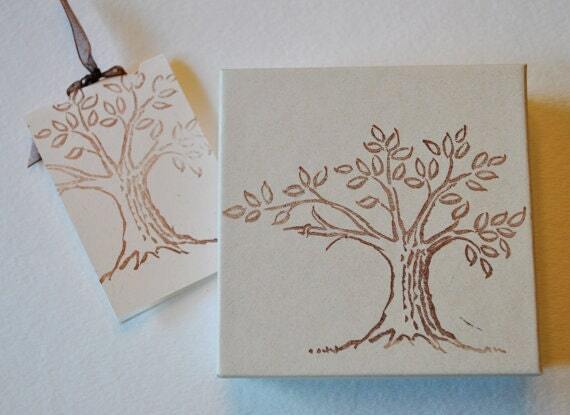 Your earrings will be carefully wrapped in gift box and mailed in a bubble mailer.